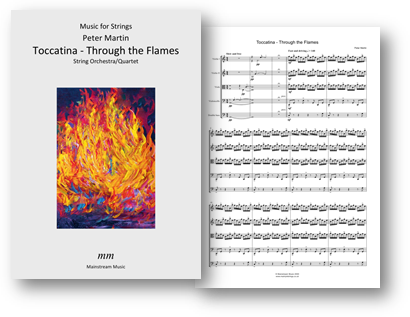 A technically demanding, yet ultimately rewarding and exhilarating toccata for string orchestra/string quartet. The PDF contains a part for violin III, doubling that of the viola. Click here to listen to a recording of the piece. Click here to visit the score page. Click on the image below to view/listen to the score on YouTube.